Samples of Ramón Monegal’s new perfume line, all fourteen fragrances, landed on my desk months ago. I was overwhelmed by the number of perfumes, but over the course of several days, and using each finger on both hands, and both wrists, and forearms, and even a friend at work, I tried them all. Some of the perfumes I immediately deemed unwearable (for me) — even applied in small quantity (they were hyper-feminine and sweet). The fragrance I had my female friend try, Kiss My Name, almost ruined our relationship; I applied only a drop to her wrist and this sent her sprinting to the sink where she furiously scrubbed her wrist with hot water and dishwashing liquid. Still, the fragrance persisted, nay, DOMINATED the office, because it was on the sleeve of her shirt. Her choices were few: walk around in her bra all day, shirtless (she said she seriously considered doing this), or grin and bear it till she got home and threw her shirt in the wash.
Dry Wood begins with a whopping (and masculine) accord of bay leaf, summer savory (a note that lingers into the dry-down), moss…and dry lime? As the perfume develops, a nice pepper aroma joins the greens; then, Dry Wood quickly becomes sweet and talc-y with a hint of powdery/opaque citrus, cashmeran and rather indistinct wood aromas. Dry Wood is manly and has a “Spanish Perfume” character (a smooth, well-blended fragrance with citrus, woods and herbs/moss), but when I say “Spanish,” don’t think “matador” or Almodóvar…think rich lawyer/judge in Salamanca (reserved and conservative, a bit of a square). After some hours on skin the cologne smells rather generic. Dry Wood is a nice enough fragrance, but for less than half its cost you can get a perfume that’s just as good (and much better in the base notes.) Dry Woods has astonishing lasting power and good sillage. I was happy this fragrance was one of my picks to review; I love a good orange blossom/orange fruit perfume. Entre Naranjos begins with a sweet “orange flower,” a flower made of orange juice and orange blossom (a rather “glass-y eyed” orange blossom, not romantic — lush or creamy—in the least). Mixed with the fruit and flower is an almost “food-y” light amber note (a tad candied and artificial…as if you made amber “fudge” from imitation woods/vetiver, patchouli and vanilla). This is a sheer perfume, but not “fresh”, to be blunt: it smells stale. Entre Naranjos’ overall character is bland and possesses not a hint of originality or “luxury.” Add poor lasting power and no sillage to speak of and you have a most untempting fragrance. Impossible Iris opens with a beautiful “white” aroma that reminds me of a fresh, and ample, bouquet of Thalia narcissus, indolic and vibrant. (For those of you who have not smelled Thalia narcissus, imagine jasmine in full spring bloom or a mass of Clematis armandii blossoming over a patch of dew-moistened violets.) Though the indoles fade, the pretty, sweet white floral and violet aromas persist. As Impossible Iris dries down, raspberry fruit aromas mix with the violet to make an interesting accord (that is, until the raspberry begins to dominate the flowers; if raspberry in perfume is your enemy, don’t try this). I’d wear Impossible Iris because it conjures some of my favorite garden flowers, but I’m betting most men would find it too feminine. “Impossible” iris is a good name, because no iris (flower or root) smells like this. And, pray tell, what exactly is “Egyptian cassiopiae?” A variety of clematis? Or...? The extreme dry-down of Impossible Iris in no way matches the lush opening: there’s a wan, phony wood note that I find off-putting; it arrives five hours into the perfume’s development and that’s when I’d reapply the perfume to make the jarring note vanish. Impossible Iris has great lasting power and excellent sillage. Of all the Monegals I’ve tried; this is my favorite — it’s “fun” and cheery…it certainly improved my mood on the dreary day I wore it. Cuirelle begins with incense (rough cedar, maybe some cumin, and a “lighter fluid” note); this harsh beginning quickly disappears as a honeyed accord arrives (reminding me of sweet/spicy tobacco leaves — and Viktor & Rolf Spicebomb and Diptyque Volutes, but not smelling as good as either one of those). There you have it; Cuirelle doesn’t develop much after the first five minutes unless you count a VERY faint “toasted coconut” moment or two. As with most Ramón Monegal offerings, Cuirelle has great lasting power and good sillage. Agar Musk is a sweet, cedar-y oud-leather perfume. At first, I thought Agar Musk was going to give me some of the “oomph” of Le Labo Oud 27 (the oud note smells similar), but Agar Musk quickly becomes a sheer, linear oud scent — with a “pencil-shavings” note. Unlike most other Monegal fragrances I tried, this one didn’t have good lasting power, except on fabric. After trying all the Ramón Monegal perfumes (full-on or by generous dabs), I feel most of them are “front-loaded” fragrances: the most interesting aspects of the perfumes come on strong the moment you apply them to skin. Then? As the fragrances develop (quickly), there is a steady decline in the quality of ingredients and ingenuity. All the fragrances I wore ended up smelling just “OK” by the end of the day. Ramón Monegal needs to spread out the love and make the perfume bases as good as the opening notes; no way are the perfumes as they stand worth almost $200 for 50 ml. 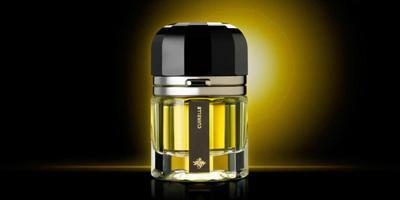 The perfumes reviewed here are all Eau de Parfum strength, and are $185 for 50 ml. 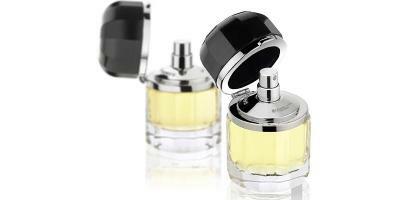 ; they are available at Luckyscent and Neiman Marcus. Ramón Monegal just launched a new perfume — Pure Mariposa (exclusive to Neiman Marcus). Great reviews, Kevin. And a huge thank you because you mowed down all of my lemmings to even try this line. I was most interested in the iris scent, but raspberry?!? No thanks. I’m happily wafting vintage Jicky today. I guess they just don’t make ’em like they used to! Rappleyea: you are welcome…and enjoy rhe Jicky! Ditto. I’ve been dying to try Impossible Iris (I love violettes and can handle some rasberry) and Cuirelle, since my two favorite notes are Iris and Leather. But you TOTALLY killed those lemmings. THANK YOU! Impossible Iris was probably my favorite among the more feminine-leaning of his line, but with that price tag – Mythique is by far the better buy. Well, RM is one of my fave perfumers right now. A bit harsh on the review, imo but I am too when I am generally not a fan sometimes..like Mugler scents..lol..I see most of them as failed pantry experiments:). I think RM is talented, Ambra Di Luna is divine and I would love a full bottle. I think that one is worth the full price, just my taste though:). As far as the ones you reviewed, the only one I haven’t sniffed is the DW. I am not really craving a full bottle of anything reviewed, though Impossible Iris was pretty well done, imo. The orange one was a bit too bitter for my tastes. Cuirelle, if I was a big fan of leather, I’d want a full bottle but I just don’t do leather in big doses like that, Agar Musk, it’s nice but agreed..it could be much better on the lasting power. If only more concentrated..I’d like it. I do like the sweetness of it, I really like orientals..just wish it had more lasting power. Omega, I am trying to be fair, even in “harshness”…ha! Nothing in the line grabbed me fully. I did give Ambra di Luna a try and it was just amber-as- usual on my skin…higher-grade materials would have helped many in the line. But I am interested to read all who disagree with me and hear from RM fans. I’m not very sure how to ask this question but how does one tell whether a frag contains good or bad quality ingredients? The reason I’m uncertain is because few scents are obviously synthetic, like, say, strawberry bubble gum, unless they are being so deliberately. In that case the synthetic vibe is intentional. I tried body Shop white musk the other day and it struck me as less refined than Lutens’ Claire de Musc, but does that have to do with the quality of ingredients or the total formula, or both? Where does one begin and the other end? Sorry, maybe this isn’t a question that can be answered so briefly! Merlin: there’s really no way I can answer this…I go by my NOSE and my personal history of sniffing, everything from the lowly to the great (and much in the middle CLAIMING to be great). I could sit you down and let you sniff things I deem “cheap.” I think Calone smells cheap…the chemical perfumers use to present “raspberry” quite often smells of scented toilet paper to me. Ambrox I find “problematic.” Of course none of this takes into account pricing…since I don’t buy aromachemicals I have no idea if a note I find cheap-smelling costs little…or a lot. Personal taste plays a part too…something I find tawdry may make someone else start dancing around the room with joy! I’m not sure there is such a thing as scented toilet paper in South Africa! Thanks for giving the answer a shot and clarifying some of the issues involved – cheap versus inexpensive (not entirely synonymous), some element of subjectivity, etc. Thanks for the laugh re the Kiss My Name debacle (even worse when a scrubber winds up on a coat sleeve). Very attractive bottles, however…. Galbanumgal: I can say that perfume provided the worst experience…it just does not go away! I get iris in it..and yes a bit of tart, then sweet raspberry. The iris just isn’t as rooty/earthy as in some scents but it’s iris. The raspberry does compete with the iris..but I still get iris. There are several fans of Impossible Iris out there. It’s a more cheery iris, yes. The iris note lasts longer in this scent to me than some others I’ve tried. If one doesn’t mind their iris dipped in raspberry..then I would say to try it. Irisfreak…add an exclamation mark to your suggestion and it is perfection…Iris? Impossible!! I probably love nine out of 10 orange blossom fragrances that I try, but Entre Naranjos didn’t wow me. Cherry Musk was about the same – not awful, not great, utterly forgettable. Neither made me anxious to sample the rest of the line. Rodelinda…especially when you have thirteen left to try! I like Cuirelle. I don’t know if I love it enough to invest in a bottle. It isn’t the most complex scent and doesn’t change much throughout wearing it but I do think it’s better than some other things out there. Poodle: I say this because we’ve “known” each other a long time. If you take offense…kick me down the street in your fantasy and I’ll readily forgive all injuries. But: you are killing with faint praise here — linear, not complex, better than some other things out there. All I see is $185 (which is probably why you have not bought it). Start kicking if you must! Oh Kevin, no offense taken at all. No virtual kicking necessary my dear. It was faint praise on my part, I agree. I probably wouldn’t pay that much for it but if a bottle showed up on my doorstep I’d wear it I suppose. You know me so well, I like a bargain and if I’m paying a premium I want to be wowed. I don’t hate it but I don’t need it either. If it shows up at TJ Maxx for less than $30 I could make a case for it. I bought it too at Neiman’s about one week ago. The opening is quite a bit different from the dry-down, but I like both. The opening is more tart and fizzy, the drydown is more gossamer and I find it lovely also. It smells to me like a very innocent buttery gardenia. I’ve also bought Kiss My Name which I love, though I can understand why some would consider it a scrubber. I offered some to my mom recently to try when she was looking through my scents and she shook her head violently after sniffing my wrist. My favorite one has not yet been mentioned and is Mon Patchouly, the combination of jasmine and patchouly. It leans toward the masculine but I love it. For a different take on these see the review on I Smell Therefore I am. http://ismellthereforeiam.blogspot.com/2013/03/ramon-monegal-mon-patchouly-jasmine-in.html It seems to me his scents are of the somewhat love-it-or-hate it type. I’ve had several friends go berserk over Entre Naranjos. I myself found Dry Woods abominable and didn’t much like Cuirelle either. I’ve sampled it. I think it’s blended quite nicely and it is ‘different’. I got mostly soapy orange in this, followed by a strong black currant, a tinge of white floral, then watery/ozonic, amber and light musk. There wasn’t much tuberose in this to me, normally I don’t do that big, white floral but in this scent, it didn’t bother me. I do like orange a lot..but in this case, it was too soapy for me..I don’t really like my oranges soapy like that. The blackcurrant is nice. Overall, it’s a pleasant scent. It reminded me of a mix of Lancome’s O de L’Orangerie with added soap on the oranges and a diluted Enchanted Forest by Vagabond prince. It’s interesting..but just wouldn’t get a fb cause of those soapy oranges. sarabeth: I haven’t tried it…and unless a real mariposa flies by and drops a sample on my head I probably won’t! SB: you’re welcome…and FearsMice…thanks for chiming in…. Thanks for the link referral. And thank you for the heroic endeavour in reviewing these 5 fragrances. Better you than me, Kevin, better you than me. Your friend’s reaction to Kiss My Name is pretty much what my reaction to Pure Mariposa was — and, honestly, it made me reluctant to try any more Ramon Monegal fragrances. Your reviews now have pretty much clinched the deal, however, and I can only thank you for sparing me the misery. I’ve tried it, and posted perhaps a 15-second review of it. I thought it was a pretty white-flower/spring bouquet (yes, with some aquatics and musk, which I don’t associate with high-end perfumes but don’t run away from either), and I thought what set it apart from other spring bouquet perfumes was the buttery background/drydown. Since you have a butterfly as your icon, perhaps you are the best person to decide if you have gone mad – does it seem to you the smell of the wake of the passing butterfly you like to imagine? Or not? I could see it going either way. Late last year I purchased samples each from Ramon Monegal and Maria Candida Gentile, and four from Francis Kurkdjian. For me this was quite a serious foray into niche. I found some things to like but nothing to love and I came out of the experiment with a serious case of cynicism towards niche perfumery – at least at this pricey end of the spectrum – from which I have still not recovered. I did finish the year well: a 15 ml bottle of Le Labo’s Rose 31 as a Christmas present to myself. That 15mls will keep me going quite a long time. Of the Monegals, Kiss My Name did not make me want to peel off my own skin, but I disliked it. Entre Naranjos I liked very much for the short time I could smell it, and the third sample, whatever it was, I can’t remember. $185 for 50 mls, plus shipping? No. Just no. I appreciate your reviews Kevin, and that you call things as you see them. Thanks, Annemarie: I’m with you…I spent so much last year on samples…lots from Europe…I realize I could have bought whole bottles of scents I love for the money I blew on “rare” brand samples (not one of which I bought or fell in love with) This has been a particularly bad 12 months…with mid-quality product being introduced and selling for astronomical prices! I may have laughed at you once for earning your pay on NST, but gosh, Kevin, you are working too hard! I recommend you choose some absolute personal hedonic pleasure and review it next week. donnie: all my hedonistic pleasures have been edible recently! Let’s say I eat something DIVINE next week as I write my next scathing review? HAHA! Amouage in the 100-ml bottles actually costs less per ml than these. The L’Artisans are half as much. There’s really no excuse for going around smelling like a stuffy banker, is there? Thanks for killing my lemmings for this line, LOL! I had briefly sniffed Impossible Iris and Cuirelle and found them pleasant, but after reading this review and the comments, I won’t waste any further time thinking about how to get samples. I did receive a sample of Agar Misk and Dry Wood and didn’t care for them at all. As Luca Turin so aptly described it, “After 20 minutes, the cash runs out…”. These seem to be designed like most dept store frags, smelling great for the few minutes required for the person to get to the cash register and pay, but no real development or soul. And the price is outrageous. I found Pure Mariposa to be a screechy floral. Cazaubon…it’s such a weird strategy, too…how many repeat buyers do you get when reality sets in at home? I’ve been reading all these rave reviews elsewhere about the Monegal line, and really wondered if my sniffer didn’t take that left turn on the way to Albuquerque. I was so very hopeful when I got my samples, and it was one let down after another. When I ordered my Monegal samples, I also picked up some Keiko Mercheri and the two new Naomi Goodsir scents to sample as well. Both ladies blew Mr. Monegal away. Even though KM can be hit or miss with me, the quality of her materials was obviously superior even to my dilletante nose. And NG’s are absolute must-try, imho. LaM: agree on the Goodsir…really liked the sample I got…will review it when time permits! Ive been curious about the Monegal line for awhile now. I will probably get around to it eventually, but it has been pushed much lower in my priority list after hearing your feedback and the responses. Not enough to completely strike a whole line of fragrances off of my list to try because of this, like some other readers seem to be doing. never know, my nose might be different. I am woefully behind in my blog reading and am just catching up, but so glad I caught your piece. I am really taken by how extremely satisfying it is to read a critical review. I feel vaguely morally superior (for absolutely no reason at all! ), glad you went through the Herculean effort of testing so many (but again, for once a little self-satisfied that at least in my boring life I don’t HAVE to sniff dubious fumes), and RELIEVED that I don’t have any curiosity to smell the line, and better yet no worries about not purchasing one of the fragrances… Okay. This little homily says way too much about me, and not enough about you–thank you thank you thank you!!!! I enjoyed the piece! OaklandFresca: thank you so much…glad to help. Ha! Due to the raves on the blogs, I was so excited to receive a sample of Mon Patchouly, but that excitement quickly curdled into disappointment. I was feeling like a philistine until I read your review, so thanks! Rendangboy: oh, no…always trust YOUR nose! I absolutely love rasberry perfumes. So now you have me itching to try Impossible Iris! Lady Luck: I wouldn’t call Impossible Iris a raspberry perfume…more like a violet perfume with raspberry. I know I’m a few days late to the party on commenting, but I really enjoyed your review. As Oakland mentioned above, a critical review is very much appreciated. I’ve tried several of the line and each one was just OK. Not terrible, mostly wearable, but certainly not FB-able. I hadn’t tried Impossible Iris. It’s the one sample I couldn’t find due to it’s ‘popularity’ and at least now I know that it’ll be too fruity for my tastes. I won’t continue to seek out a sample, but if one comes my way, I’ll give it a whirl. I was also really excited to try Cuirelle – but my sample left me wanting something…more. I think I wanted more leather, more elle, just more! Kevin, you still there buddy? Well, I officially all of the Monegals and think I am recanting a bit..as you may be glad to hear, lol. I still think ADL is a great scent, Iris was good and I liked Agar Musk. The Mon Patchouli has a nice opening dry down but what is with the feminine middle notes to this? ugh. Also..L’eau en Rose..boring, Cotton Musk just had me saying WHY? WHY? WHY? Car freshener overpriced. And Cherry Musk again, why?? And boring. Lovely Day, I may have mentioned this before..but nothing lovely about it. I like 3 of his scents. I still would like to see future compositions..just as long as they aren’t things like Cotton Musk! Oh and Kevin…SYNTHETIC indeed! Good gosh..overkill of synthetic musk! Kiss my Name..I am not a fan of tuberose..but that is the most bland tuberose ever MASKED by synthetic musk!!!! I don’t have the best reactions to synthetic musks like that..and to have a good deal of them drenching in it, not good for my nose. I’ve lost some interest in this line…what disappointments. Ya, I hadn’t tried all the Monegals..therefore, spoke too soon. I open the pack of samples.. synthetic MUSK bomb! Yep, I only dabbed a little and still the musk broadcasted from here to Tacoma! And no, they don’t shut up..weak line altogether. Happy Sunday to you to Kevin:).